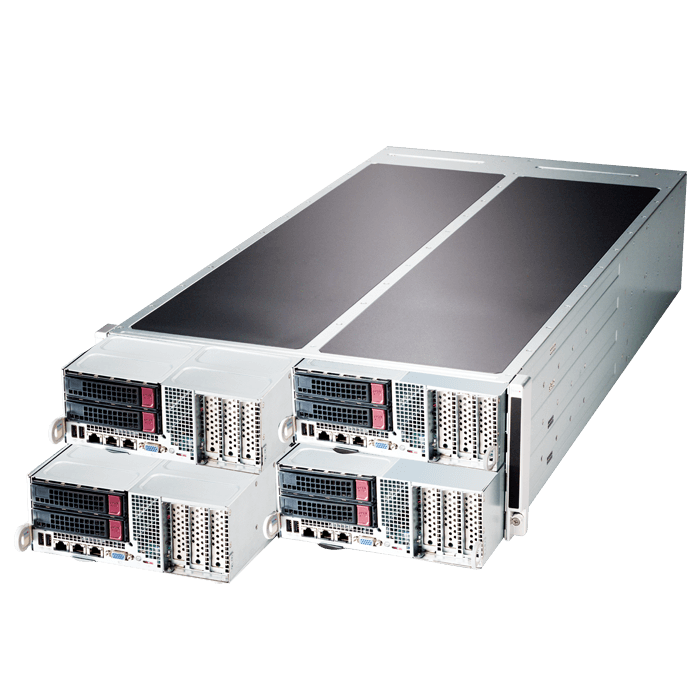 AVADirect, a leading provider of custom server solutions, now offers the uniquely-designed FatTwin™ GPU-Oriented, Octa-Xeon® 4U Server by Supermicro. This mammoth of a CPU/GPU cluster (part# F627G3-F73PT+) boasts robust CPU performance, with support for dedicated graphics processing units (if need be) to push performance past, what was once, a fine line between possible, and impractical. With it's primary focus on CPU horsepower, the Supermicro FatTwin uses a four-blade form-factor, in which we will elaborate on in explicit detail.